Life is precious and ever so much more when a dear member of our family departs. 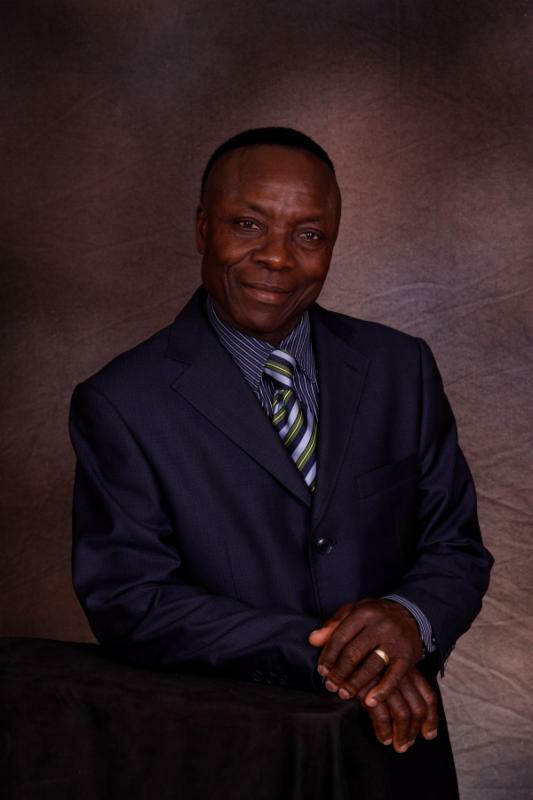 With sadness, we have learned that James Ackah, a longtime resident of Vancouver and cherished member of the Ghanaian community, passed away unexpectedly on December 27, 2015. James has been a stalwart supporter of KBNF since our first meeting, going back well over a decade. His desire to support his homeland and the people of West Africa was unswerving. 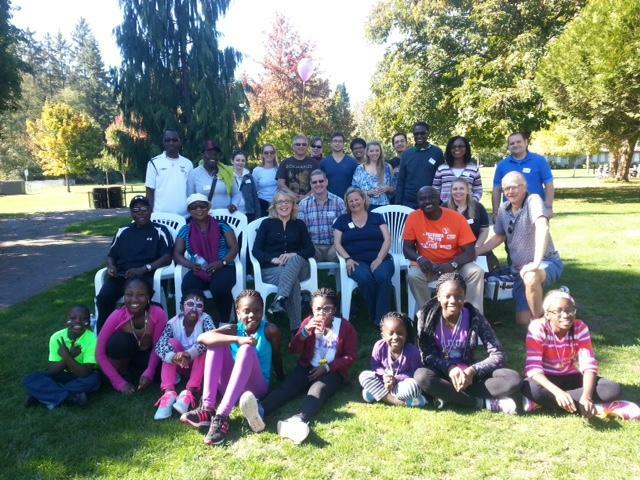 Each year we could count on James and Beatrice and family actively supporting KBNF while faithfully attending various events, including our Walk for the Bu. Brenda Macleod recalls what a blessing he and his wife were. Walking the track 5 Kilometers in support of KBNF was wholly embraced, come rain or shine. “Our beloved husband, father, son, brother, uncle, and friend passed away on December 27, 2015. The funeral service for James will take place on January 15th at 10:30 am at St. Andrew’s Roman Catholic Church located at 480 East 47th Avenue in Vancouver, BC. An evening prayer service will be held at the same location on January 14th at 8 pm. Beatrice, Evelyn, and family, our thoughts and prayers are with you and your family at this time. Loss of a loved one is the most difficult part of life to live. It requires courage and the assurance that while we might not understand the timing, we do know that he is basking in the presence of His Lord. May you be comforted by knowing that his life and memories are dearly embraced and the legacy that James has built will continue to bestow blessings upon his family, his friends, and his native and present homeland for years to come. The Langley Times featured an article on KBNF’s work in Liberia to help the Liberian Medical System defeat the Ebola Crisis and rebuild. We’ve been working with Dr. Francis Kateh since 2014, and have sent over six containers of medical supplies, beds and humanitarian aid to Liberia. Click the link below to read it online. Korle-Bu Neuroscience Foundation was in the Langley Times! Read the article online. Six containers have gone to Liberia to help solve their medical crisis and there are more to go. A donation to KBNF helps get these desperately needed beds, medical supplies and aid directly where they’re needed most. Marj Celebrates Danny Moe’s Manic Monday! Monday has been a full day for Danny, as he taught 80 care aide students Heart Power! Tonight he is speaking at the local church, the first of two nights teaching Heart Power! I met with nurses and patients and had insightful discussions. One area that I observed we can improve is in hand washing. There is one sink at the end of a corridor between the patient ward rooms, and we need to place hand sanitizer pumps in strategic locations between every room to cut down on the potential for cross contamination of germs. The nursing staff is very eager to embrace each of the ideas presented. Muffins! Faustina has a delightful store at the front of the hospital. 7,000 patients are processed through their hospital monthly and many find their way into her shop. So I got a bright idea! Why not sell come Canadian baking, like Marj’s muffins? All the staples needed for the muffins are right there in Techiman, especially cashews, which are indigenous to the region. So this week, one of my goals is to locate muffin tins and make batches of muffins for the staff. If they are enjoyed, then we are in business! We’ll start small and go from there. Next on that agenda will be quality loaves of bread, then unique cookies. . . if you would like to send a favorite recipe, pleased do and I’ll keep you posted! The Mt. Olives Hospital boasts two completed apartments and another bedroom / bathroom. So much effort is in evidence, as Faustina prepared our fully furnished apartment so comfortably. Everything is brand new. A housekeeper, Mary, has been specially chosen to serve our needs. We are already enjoying superb hospitality by our hosts and staff. Our first Sunday in Techiman was spent at The Church of Pentecost in the city. Danny preached on Second Start / Second Chance, a new seminar of encouragement for those that may feel that life is passing them by. Each household was given a handout with 10 Commandments for Reigning in Life. The expert interpreter, Steve, a minister from another church, was a tremendous blessing as he spoke in the Ashanti dialect. Our collaborative approach for the seminar week ahead was the evening focus. Many from the region have been invited to Mt. Olives for the upcoming Heart Power! Sessions, as well as Second Start / Second Chance and our Neuro — Stroke Days. Danny will be speaking three times a day. I just hope his voice holds out! He’s up for the challenge, requesting to be kept busy. So we took him at his word! We are trusting that this can be the beginning of culture transformation for Ghana. We have to begin somewhere, so why not the central region of the country? Saturday morning saw the advent of our inaugural Mt. Olives Hospital Foundation and Korle-Bu Neuroscience Foundation Joint Board meeting. What an incredible morning. In the annals of time, it may prove to be one of the most transformative events in the future of neuroscience for the region. We are truly blessed that Rev. Prof. Seth Ayettey, a visionary par excellence, a Champion with Distinction, is Chairman of the Mt. Olives Board. Samuel Ampem-Asare is on both boards and serves Mt. Olives as Executive Secretary. Dr. Gladstone Kessie, Mt. Olives Medical Director, is the Executive Member. Other board members include Faustina Kessie, Director of the Hospital. Mt. Olives aspires to be a leader in the region and nation. To this end, they are hosting the first Heart Power! and NEURO – Stroke Prevention and Care seminars for the community at large, including the Brong Ahafo region. Many from neighboring hospitals and clinics are joining us over the next 1 – 2 weeks. Our board discussions encompassed the vision for neuro rehabilitation and the critical need for neuro stroke, neurology and neurosurgery care for the people of Ghana and beyond. As well, a Memorandum of Understanding is being established between our two non-profit foundations. Concluding our first joint board meeting one-and-a-half hours after our two hour projected meeting time, our bags were packed in Dr. Gladstone Kessie’s SUV and away we headed into the hills and mountain country on our seven hour journey to Techiman, north of Kumasi. We passed the President’s summer castle and the region where the early missionaries put down roots. The weather is much milder in this area and in fact, snow has been reported falling during the rainy season. We passed many Presbyterian and Methodist churches and schools in literally every village on our way north. Seth had informed us that the original Basal missionaries had served in the area without a convert for 50 years. However, in spite of many lives lost from disease, they persevered and today, I saw the results of that commitment. We passed many stands selling cooking oil, bowls, fruits, vegetables, animals (both dead and alive), mushrooms with long roots, particularly at toll booths and check points. Ghanaian sellers were observed running quickly whenever there was the slightest indication that a traveler may like to purchase their wares. Such entrepreneurial spirits! What is astonishing is how many villagers sell seemingly the identical items. Danny commented how these sellers need to come up with uniqueness to their presentations and products to encourage purchasers. Traffic in Kumasi was often at a stand still. While creeping along, rain began and a lightening shower ensued. Traffic on the highways, whether two lanes or four, often boggled the mind. I’m convinced that African drivers must have talents that we in North America could only dream of, otherwise many more people would be dead. Watching drivers climbing a hill on the wrong side of the road when a vehicle can be coming over the crest, is breathtaking. Many vehicles were seen abandoned along the side of the road and in fact, a lone truck had been disabled and was parked in the middle of the highway, at the bottom of a hill. We learned from Gladstone that during the night, these abandoned vehicles can lead to many losses of life. Thankfully, we approached Techiman, and were thrilled to arrive safe and sound to a lovely meal at the Kessie’s home. We made it! Our flights were blessedly uneventful. Transferring from our Air Canada flight to our British Airways flight with one-and-a-half hours to spare was an adventure all of its own! Olympian sized hallways to walk, two bus trips, customs, security, elevators and numerous escalators. We just managed to make it to the third and final bus, packed in like sardines (honest! ), before heading onto the tarmac and plane. If you weren’t a fast walker, you couldn’t have made it–and two passengers didn’t! Thankfully, the flight was smooth for most of the next six hours. Seeing Africa from the night sky is special. The villages light up in clusters. Flying high over Accra at 8:30 at night, we watched the heavy traffic moving steadily along the George W. Bush Causeway: a city fully engaged in life! Arriving at the airport customs, it was a lesson in patience, as the business / diplomatic line moved at a snail’s pace. And we were their last customers! However, as expected, our luggage had yet to come. We were warmly greeted by Sammy Ampem-Asare, one of our KBNF Board of Directors, and the Chief Inspector of the airport. Always given priority care and attention, our bags were retrieved and we were whisked off to our transport in short order. What a blessing! Arriving at our friends the Hesse’s bed and breakfast, a transformer had blown somewhere in the community and the power was out. The Electric Company will be working through the night to repair it. With a lovely meal on board, we are managing fine with battery powered lights and a gentle warm humid waft of air is filtering in through mosquito protected windows. A new day approaches . . . I’ll keep you posted! KNBF is thrilled to be a part of an innovative project that is envisioned to be a component of a multi-year program to assist the Jackson Doe Hospital, and Liberia at large, in making advancements in education, training, quality, and healthcare access. The areas targeted areas focus on where there is appropriate non-profit and volunteer support and those areas that the Jackson Doe Hospital has determined to be vital to its mission of service in Liberia. This team is a collaboration between members of the Johns Hopkins departments of anesthesia and critical care medicine and the Doctors for United Medical Missions, Inc. Because Jackson Doe Regional Referral Hospital is a new hospital, having opened in 2011, the facility has not yet developed a resuscitation system for the many adults, children and pregnant women who receive much needed care. Therefore, the John Hopkins team will prove invaluable. education objectives to teach a customized sampling of BLS, ACLS, ATLS, PALs all targeted to the level of diagnostic/therapeutic capabilities of the hospital site. Objectives of the course are to train invited surgical staff on techniques for efficient inguinal hernia surgery with a significantly lower recurrence rate. They will also provide educational support to surgeons, nurse anesthetists and nurses on selected topics to be determined by the Jackson Doe Hospital. John Doe will specifically benefit from Humanity First Team’s help as inguinal hernia surgery is the number one most frequently performed surgical procedure in Africa, but has a relatively high recurrence rate. The team taught a neuroscience educational program at JFK Hospital in 2012 and this would be a follow-up project for interested healthcare providers from throughout Liberia. KBNF’s help is essential because there are currently no neurosurgeons working in Liberia and up until this year there have been no anesthesia physicians working in the public service in Liberia. In pursuit of its mission to provide quality care the Jackson Doe Hospital has now obtained the services of an anesthesiologist, expanded its physician workforce, has secured the only CT-scanner in Liberia and has taken on a number of medical interns as well. – Discussion with stakeholders about referral/patient transfer options to Korle bu Teaching Hospital or University of Benin Teaching Hospital. – Assessment and recommendations related to the potential to develop future neurosurgical capabilities in Liberia and at the Jackson-Doe Hospital. Tuesday was a very special morning when the simulator was unveiled and demonstrations were conducted. Furthermore, a full introduction of the research study was provided. Alfred tells me that the event was well attended and the Canadian High Commissioner, Christopher Thornley, was present. Patrick and Harry (KBTH neurosurgeons) had invited neurosurgeons from far and wide, and I had invited guests including the MOH, UoG past and present administrators, KBTH past and present administrators, KBNF Board and the media. Fred Addai promoted the event at their Anatomy Staff meeting and encouraged his staff and students to attend. Many of these individuals are studying neuroscience at the moment, so Fred felt this was excellent timing. I had completely forgotten that refreshments are always expected at these events. Thankfully, when it was realized that this had not been organized, Patrick stepped up to the plate and arranged caterers to handle these details. I engaged the CEO’s involvement in ensuring a suitable room was provided with tables and bottled water. The remainder of the week is signing up participants, trialing them on the simulator and getting things moving for the next three months of research. Thankfully, Patrick and Harry have been fully engaged in ensuring this is a success. On our part, I have encouraged that medical students interested in neuro be given an opportunity to engage in this study. Fred and his Anatomy Dept have taken this to heart and have been doing their part to ensure participation. Tomorrow morning is a coffee reception at the Canadian High Commissioner’s official residence. Official invitations (requiring RSVP) have been going out from the HC since Monday morning and the media is also invited to attend. There is actually significant enthusiasm for this event and Nichole, the executive assistant tells me things are progressing very well. I am so very grateful to the HC for his enthusiasm and commitment to our project work. I is just so rewarding to me personally, having his full engagement from the commencement of his term. The research team concludes their stay Saturday evening, so Saturday is wrap-up and to be a tourist and shopping day. I expect that this research study will become significant news in the scientific community internationally, as things progress. It’s a milestone moment for KBNF and Ghana and Canada. If this proves successful and results in transforming neurosurgery training in remote areas, it could lead to breakthroughs in how surgeons are trained in all areas of the developing world. And the next step could be mentoring surgeons during live surgeries. Really, the sky’s the limit! If it is not a success then our Canadian researchers can return to the drawing board, more knowledgeable but with an aim to refine their program and to engage in further study, until success is realized. All in all, this is a win/win situation for potential surgery developments in the 21st century. The neuro-simulator was shipped by air and after significant effort released from the airport and delivered to KBTH courtesy of intervention by Nii Otu Nartey, Seth, and Harry Akoto (a KBTH neurosurgeon). One of the challenges we encountered was that Seth and Nii determined just last week that they would prefer to be in the background to avoid any potential for negative exposure. Seth and Nii did not want to encroach upon the current Acting Chief Administrator’s role or his authority, thereby putting any kind of damper on these events. Consequently, we had to quickly realign our actions to fully engage in the PRO office and administrator’s office. The PRO had assured us that they would make this a priority with the CEO and letters were sent out through them (Seth edited the official letters for me to ensure they were suitable). Nevertheless, the Administrator did not appear to be aware of the activities when Patrick Banka (KBTH neurosurgeon) went to meet with Rev. Alfred Botchway to update him. Consequently, when I learned that there was a disconnect, I called him. After considerable trials by fire, including difficulties in securing a line that we could actually talk on, Rev. Botchway proved to be very accommodating and promised that full support from his office and staff would be in full swing immediately. We have since corresponded by phone texts or emails and appear to have a positive rapport developing. One of the requests he has made is for our foundation and KBTH to establish an MOU, so he can present this to their Board and to whomever asks about our collaborations. I have promised him that we will draft an MOU. The week’s activities were orchestrated by myself and Melissa. Monday was set up day but a critical cable was missed in the packing of the simulator. On Monday afternoon, we were seriously challenged in finding a replacement. So after discussions with Anders Engstrom, our biomedical engineer, and then Sammy literally coming to the rescue by getting a replicate cable from his own office early in the morning and delivering it in time, the team was able to get the simulator operating. This was fortuitous as Sammy had been planning to be out of town that week on work related business. However, at the last minute, his company had to cancel the trip and he was home to make sure things weren’t stalled. Alfred has been another godsend, ensuring that things are progressing and that between him and Sammy, KBNF representation has been well taken care of throughout, including being available to address the media. Thanks to Alfred, he travelled across Accra’s busy morning traffic to get to the Tuesday event, then had to travel back across the city to attend to his patients. Alfred even took the ladies out to dinner last night.